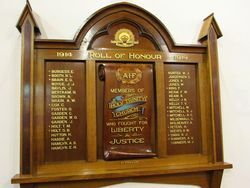 The Holy Trinity Roll of Honour commemorates members of the church who served in World War One. 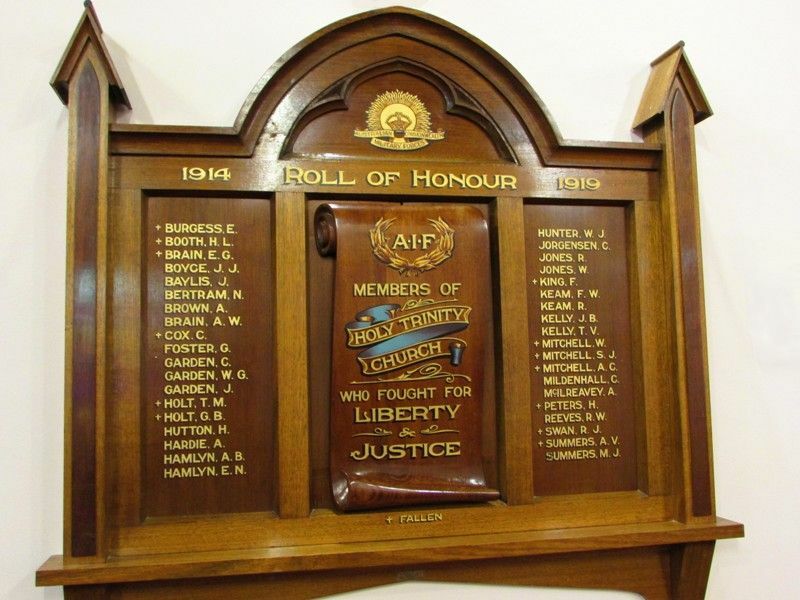 A meeting of the congregation of Holy Trinity Church of England was held on Tuesday evening for the purpose of considering what action should be taken with regard to the erection of a memorial for the fallen soldiers and those who are returning from the front who are members of the church. It was announced that a most-generous donor to the church in the past had offered to present an illuminated window in the cause, if the congregation would do likewise. 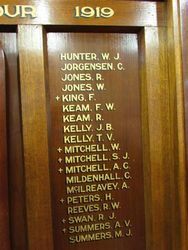 The offer was immediately accepted, and a committee was formed for the purpose of collecting subscriptions. From the tone of the meeting the second window is likely to materialise. 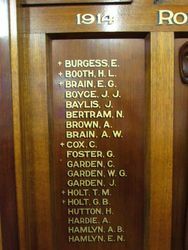 It was also decided to obtain a memorial tablet and honour roll. Gippsland Times (Vic), 9 June 1919.